They buried him with a broken heart, unable to go on after his wife of 50 years passed away from cancer. Then they dug him up 300 years later, gave him a new body, new abilities and made him fight in a war to defeat the Velkin, a race of terrible alien invaders. He helped the Risen destroy the Velkin armies, defeat their Fleet Master and obliterate their massive siphon before it could drain the Earth of its vital goa. But the war didn't end there. 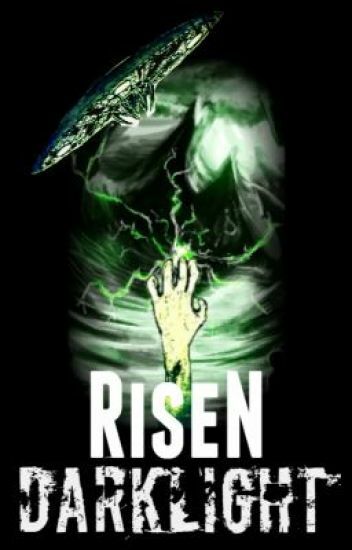 The sequel to Risen, Risen: Darklight is the second book in the Risen saga as it follows juggernaut Max Niekro in his quest to defeat the Velkin and save the Earth. Avatars, . . . Re-Assemble? Written as a companion novel to Risen and Risen: Darklight, Echoes of War tells us what the echoes, psychic reverberations of violent deaths that appear as ghosts and led by the incomparable Hannibal Barca of ancient Carthage, are doing between the major engagements of the two books. Which is a combination of learning both how to fight in a modern war while NOT killing each other as old conflicts arise with the return of memory. See how Hannibal begins to craft his determined volunteer ghosts into the formidable fighting force that plays a key role in not only the various raids the Risen engage in, but the assault on the siphon and the alpha tournament as well. He may only be an echo of his former self, but the former general is still one hell of a commander of soldiers! Join him and the echoes as they prepare to go to war against the Velkin. Imagine living a full life, dying months after your beloved wife passes and being buried. Only to wake up 300 years later, called out of the grave to fight a final war against an alien invasion. Join Max Niekro, formerly living and now Risen as he deals with this reality as the forces of Earth, both living and dead, are marshalled in a last ditch effort to save the world. Like a phoenix, they arose. From the ashes of a world burnt by massive nuclear holocaust and frozen by a millennia of nuclear winter. They are the Fisted Races and they struggle against the tattered remnant of Humanity for what little resources are left on a battered Earth. Ryon, Tigris, Kanid and Pantor; all equally powerful in skill and cunning. And in their hatred of the human race that nearly destroyed the world with the Great Burn. But now an even greater power in the south was rising that threatened Fisted and Humans alike. Could they somehow put the bloodshed and horror of their history behind them and stand together against it? Because if they didn't, not only would Humanity and the Fisted die, but so would every living thing on the planet! A strange message/challenge is sent out to the entire world from the enigmatic CEO of Genaco Entertainment. This challenge forces government agents worldwide to send agents into a recently released game to retrieve certain items. Dayle Butcher, Nina Raines and Arthur Yount enter this world lauded as the best agents in the entire world. But soon they learn that means squat in the kill-throat world of MMORPG's. These agents must learn the strength and weaknesses of Individuality and Unity if they are to complete their mission. Heroes aren't born, they’re shaped by the events that both create and destroy their lives. Forced into an ancient war between powerful races, David Constantine must come to terms with death and destiny while trying to balance what he was, and what he has become. Personal vengeance ensues on a journey of reclamation, and acceptance of what is forever lost. At what point do you stop trying to be human again? How far until you let go of everything you ever knew? David was normal; shaped by world-shattering events in a struggle to survive, he changes into something else entirely. Something new, something dangerous. Welcome to Valhalla, and the end of the world as we know it. David has returned. Three years have passed since the events of Megiddo, and the Kinetic now lives apart from his team back in Valhalla. Of course, his story isn't over yet. That would be too simple. The secret of the Archaeans has been revealed to the world, and not all want to live peacefully. When a new force attacks the Archaean fortress David is dragged back into war, Argonauts in tow. But these new human enemies are only secondary. Prometheus has returned, hell-bent on unleashing the Archons' final secret from Ragnarok. The end has begun, and before it is over one Argonaut will die. The Apocalypse is near, and Ragnarok will rise. Welcome back.